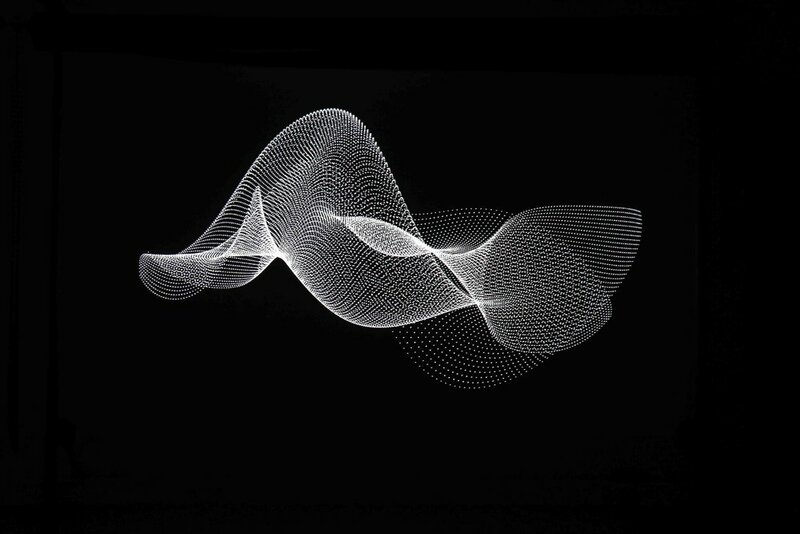 The piece is an audiovisual piece, celebrating the purest state of sound and form. It creates an alternate space where one could enjoy the poetic and sensational relationship sound and form embodies. The monochrome design strips the possibilities of colour, allowing the viewer to focus only on the abstract forms and sound. Each of the unique visualisations is associated with an instrument used in the musical piece.